VOLTA ELECTRICAL EQUIPMENT CO. starts out as a small electrical equipments maker unit, Producing Radio Transistors, Telephone Locks, Voltage Stabilizers and Uninterruptible Power Supply (UPS). In 1985, company starts the manufacturing of Spark Erosion Machines and still in production. 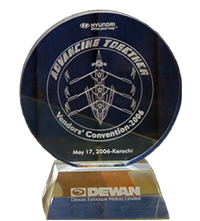 In 1991 company starts to provide the machining services of Wire Cut EDM to local Moulds and Dies makers. 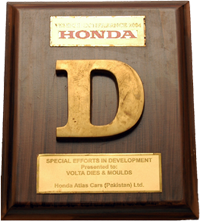 A strategic decision was taken by the company in 1998 and decided to deliver the sub contract machining services of CNC Vertical Machining, for this purpose a new setup with the name of VOLTA DIES & MOULDS became to establish. 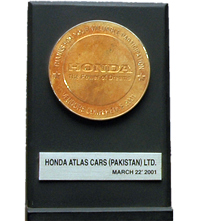 In the year of 2001 the company became as a vendor of technology intensive products for the expanding automobile industry and other assembly units. Supplies are made to the Assemblers & Manufacturers of Cars, Auto Air-Condition Assembler, Motor cycle, Electronic Industry, Cosmetics Industry, etc. VOLTA DIES & MOULDS is a professional manufacturer of electro fusion, MDPE FITTINGS, socket fusion, HDPE FITTING, Electro Fussion,PE pipe fittings for fuel gas and water supply with the name of PERFECT. Also can make moulds according to your requirement. Our products are known for quality and reliability. We have a good knowledge and the capability of using Engineering plastics, which facilitate us to develop products to meet the special requirements and standards of our customers. We have built in a concern in the company to ensure regular supplies according to delivery schedules given to us by our customers. Regular investments in Test Equipments, Production Machinery and Mould development are continuously improving the quality and the capacity of our production facilities. The expansion programs facilitate us to give attention and service to new clients also.